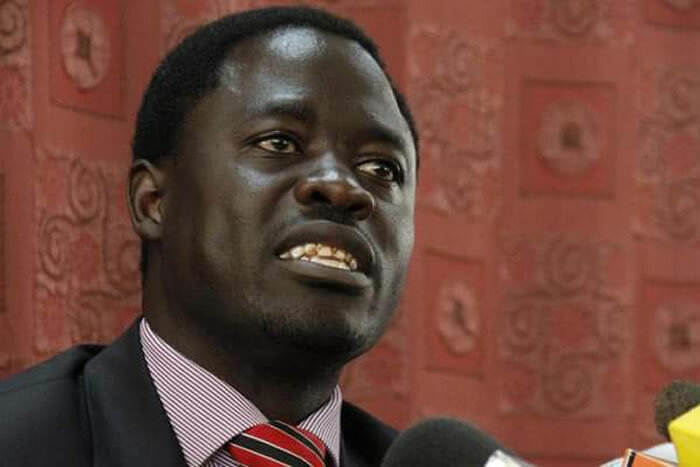 Sunday September 9, 2018-Homa Bay MP, Peter Kaluma has said the post-mortem results of the university student should provide detectives with crucial leads to nail down the main culprits behind her death. Kaluma who is the lawyer of Sharon Otieno’s family also insisted that the deceased will not be buried until police arrest her killers. “I insist that Sharon Otieno will not be buried in our ancestral land until we know her killers. Kenya is a forgetful country and the moment we bury her, we will forget everything to do with her death,” Kaluma said. Kaluma pointed out that from the multiple stabs inflicted on the 26-year-old's neck, back and the left side of the stomach as was revealed by the post-mortem, the motive of the killers was very clear. “The post-mortem to me has revealed everything for police to narrow down on the killers. It is clear that they not only wanted Sharon dead but also the foetus,” Mr Kaluma said. Sasa wewe ni wapi ametaja huyo governor hapo? Wacha ushenzi... Let us allow due process to settle this matter legally. Kaluma is a qualified lawyer and cannot utter such nonsense.